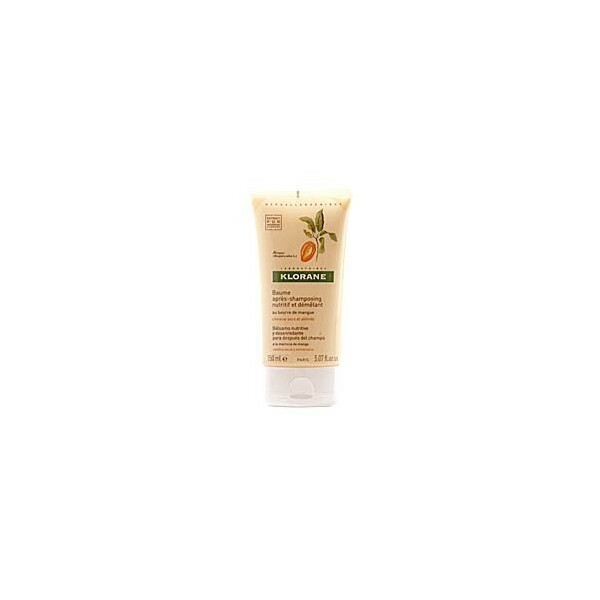 Nutritious and Detangling Balm with Mango Butter For after shampooing. After each washing. Nourishes in depth. Protects hair. Composition: * Mango Butter - 1% Nutrition. * Emulsion Cationic long-chain fatty - 18% Brightness and ease of combing. PROPERTIES: Klorane Laboratories have selected mango butter for its richness in essential fatty acids that nourish the hair fiber and repairs the cracks in the surface film hydrolipidic well, her hair, restructured, recover all resistance. A specific nutritional agent smooths the cuticle scales and smoothly covers the entire length hair in order to facilitate detangling. Your hair is protected and untangled. RESULTS: Her hair, disciplined, are easier to untangle without spoiling. Nourished and alisadosm regain softness and shine. 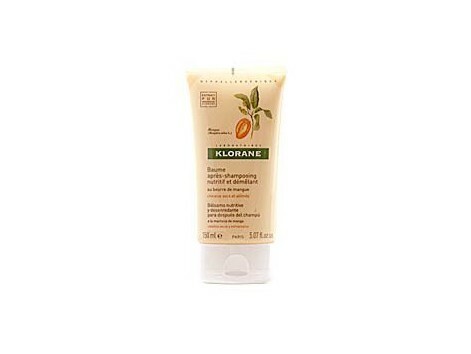 Instructions for use: Apply after shampooing nutritious Klorane Mango Butter on the long ends of the hair and rinse well drained. Leave on for 2 to 3 minutes, shampoo and rinse thoroughly. To complement this, use a mask once a week deep restorative nutrition mango butter Klorane or more often if necessary. Made to minimize risks of allergic reactions.